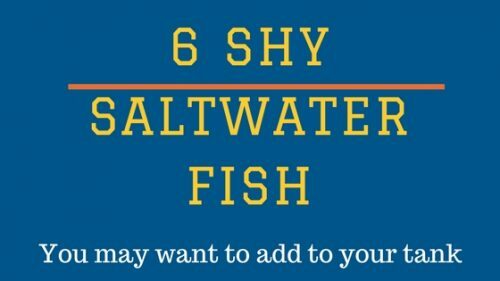 Looking for a shy saltwater fish? 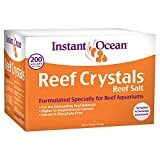 Read more to find out 6 great options for your reef aquarium. Why are some saltwater fish shy? 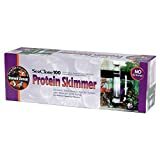 One common trait that the most popular and common saltwater fish share is a certain boldness in the aquarium. I’m not talking about aggressiveness, per se, but rather a lack of skittishness that keeps the fish comfortably swimming in your tank. But if you have the patience to sit and watch, you may be missing out on some of the more subtle beauties in the tank. Some fish are either nocturnal (which means they sleep all day and are active at night) and other fish are diurnal, which is the lite beer of being nocturnal. If you have a fish that is naturally more active at night, under the cover of darkness, you will notice that they tend to hide from the bright white lights above your tank. Another thing I’ve noticed is that some of the deepwater species tend to be shyer in our reef tanks. Deepwater species can seem out of place in the bright shallows of our reef tanks. Fishes that are being bullied or harassed by a more aggressive fish will also be shy and hide more. I noticed this issue when I tried to add a few more flame cardinal fish to my tank. 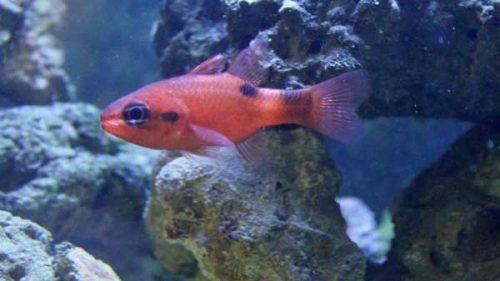 I ordered them online—but instead of flame cardinalfish, I was sent 2 Ruby Red cardinalfish—which were terrorized into not coming out by the flame cardinal. This is the same flame cardinal fish I was trying to coax out of hiding, by adding some more fish of its ‘kind’. Well, the trick worked, the flame cardinal came out of hiding but caused some havoc in the process. Sick and injured fish will also hide and try not to be seen until they recover. One surefire sign that things are going wrong for a fish is if you observe a normally bold, brash fish suddenly cowering. Enough about why the fish are shy, let’s get to the main event and check out 6 fun, attractive, but shy saltwater fish you might want to add to your tank–if you have the time, space and patience. These fish are a beautiful bright red color and they have very large eyes, making them quite cool to look at. But since they generally prefer to be out and about at night, you may find them to be a bit shy when first introduced to your tank. I once had a purple filefish that was always hiding in the rockwork. Unfortunately, the most I saw of him was the last time I saw him when I found him on the floor. They are jumpers, I left the lid open after feeding late the night before. If you plan to keep this fish, make sure you have a good lid or net to prevent jumping. The engineer gobies in my tank are a lot of fun—with all that digging they do—but they don’t like to be seen. They come out of their burrows for feeding and seem to immediately slink right back in. 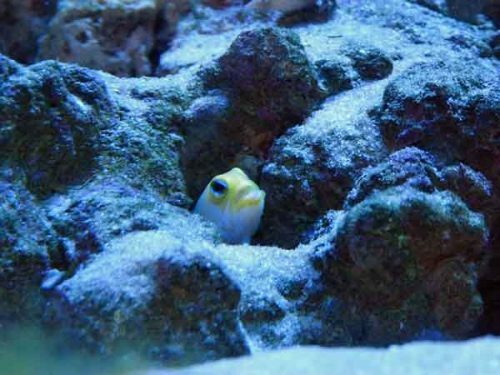 The yellow-headed jawfish I had in my tanks always seemed deathly afraid of becoming a meal. They would nervously pop into and out of their burrows, coming up mostly just to grab a morsel to eat out of the water column. The marine better is the king or queen of the shy saltwater aquarium. Stunningly beautiful but also stunningly shy. Have you kept these or any other shy saltwater fish? Which is your favorite and why? I have a marine betta in one of my tanks, one of my favorite fish. He can be slightly skittish at times but far less than a hippo tang. He knows he’s a good looking fish, whenever i walk up he swims up to the glass and in a voice with an Italian accent says ‘look at my beautiful body’ and hangs out. My Panimic Barnacle Blenny fits this profile. He stays in his hole unless something to eat floats by. Then zoom. He has it and back in his hole. Thanks Yvonne, great addition–I trust he or she are worth it, even though they are shy? I have a Purple Firefish in my tank with four seahorses. She isn’t nervous of the Seahorses, but doesn’t like us humans! She hides most of the time when we are about, and the times she does come out she will hide as soon as we go near the tank. As a result, we have to look at her from across the room. It’s a pity, because she is such a beautiful fish to look at. Although she hides most of the time, she must be getting enough to eat because she is quite fat! I have toyed with the idea of getting an orange firefish to encourage her to come out more, but I don’t know if that would make things worse. Hope you have a fantastic Christmas .